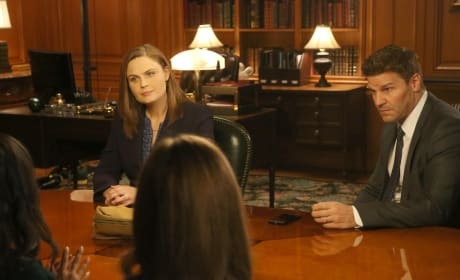 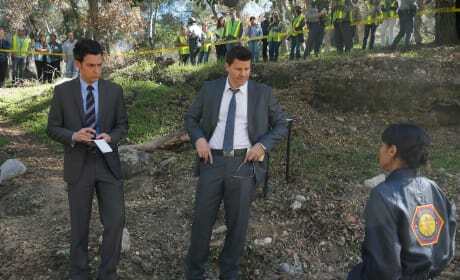 At a crime scene, Aubrey and Booth get information from Cam. 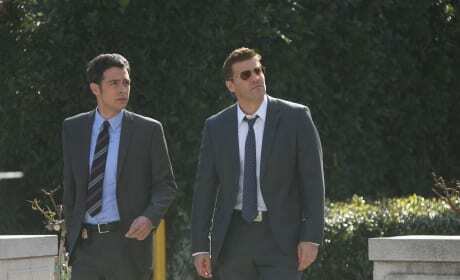 Aubrey and Booth arrive at a crime scene on Bones. 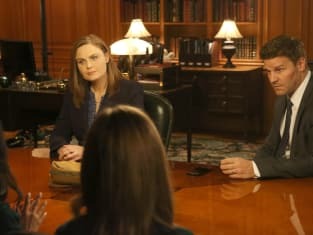 Booth and Brennan question students at a private high school.